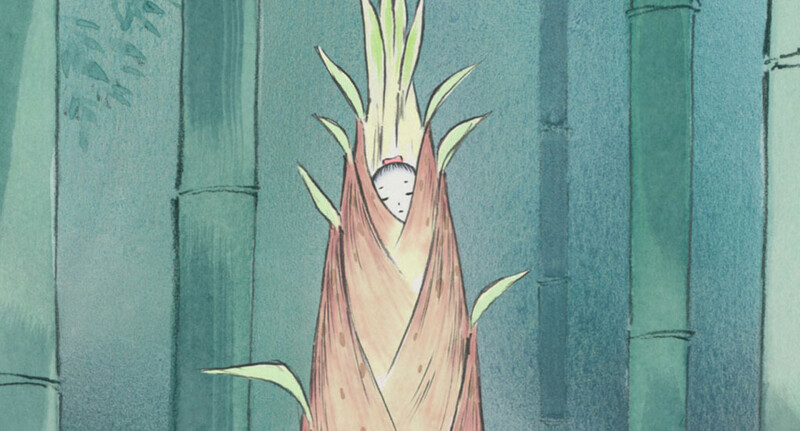 So I finally watched the 2013 animated film The Tale of Princess Kaguya this week. I’ve been wanting to see this movie for so long, I’ve almost bought a copy of the DVD several times over the past few years. Then I discovered I could rent the film from a place called Louisa’s Movie House here in Durango for $1.25 — and this was how I ended my I-need-to-see-this-movie dilemma. I expected this movie to be SUPER FANTABULOUS AMAZING. I ended up massively disappointed. My sister watched the film with me, and she was so unimpressed that she started cracking jokes at the end, when the Moon People come to earth to take Princess Kaguya back to the Moon. Even though the movie had just featured something awesome — the Princess flying through the air in a mystical dream-sequence/fantasy interlude with her childhood love, who has grown into a man (with a wife and child of his own) — I just laughed and laughed with my sister’s jokes about the Moon People, and told her this film was a “one and done” for me — as in, I don’t want to watch it again. I actually wanted to fast-forward through the entire second half of this (really long) movie, I grew so bored and tired of the plodding pace. While I can understand WHY the filmmakers focused on nature scenes as much as they did, I just ended up with a strong craving to watch My Neighbor Totoro or Princess Mononoke instead. I also kept saying, “I wish we were watching Howl’s Moving Castle.” A movie with a plot that is all go go go. The themes of The Tale of Princess Kaguya center on the cyclical nature of life, the turning of the seasons and the rebirth of life each spring. The movie is also a grim reminder that life is pretty much a sh*t-fest of suffering. While there were moments of joy in this movie, it is overall a super dark film. And by dark, I mean depressing. This is a grim movie, and I kept thinking I felt the same way watching this movie as I felt watching Grave of the Fireflies. So when the movie ended and I went online looking for pictures to paste in this blog post, I realized both of these films are creations of the same filmmaker: Isao Takahata. Of course. (!!!) How did I not already know that? 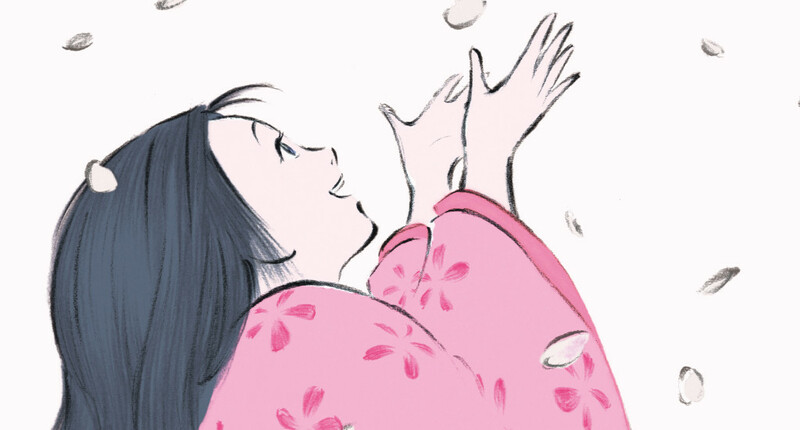 I should make clear that The Tale of Princess Kaguya did not make me sob. This movie has nowhere near the level of Death and Despair contained in Grave of the Fireflies. But the grim realities of life are certainly present. Ugliness in the form of f*cked-up societal structures, missed opportunities, human frailty, and the general sh*ttiness of being a woman all lead to the heartbreaking conclusion of this movie, which features the symbolic death of the Princess in the total loss of her memories, an event which immediately precludes her return to the Moon. The Princess lives, but she will remember nothing of her time spent on earth. Her aging foster parents weep, the only two humans in the story who understand what is happening, which adds another level of poignancy to her loss. Since I’m not a complete troll, my heart did crack a bit at the end of the movie, since symbolic death is still death, and I felt sad that the Princess had to go through so much meaningless pain when she could’ve stayed in the mountains with her true love and been happy. Instead she suffered and suffered and suffered some more, until the abuses of the patriarchy caused her to freak the f*ck out and summon the Moon People to save her. She immediately regretted her fear and this instinctual summoning, but her call for help could not be reversed, and neither could her pending departure. In the end, I think Princess Kaguya’s return to the Moon was the best choice. 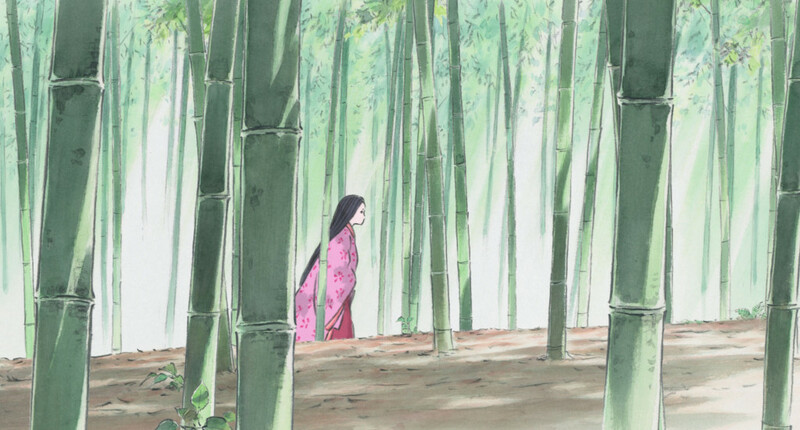 Her true love had started a family with another woman, and the problems Princess Kaguya faced involving so many wealthy, unwanted suitors seeking her hand were not going away. With the top ruler of Japan demanding she marry him, sooner or later she was bound to become one of his wives — a life she’d already threatened suicide to avoid. Surely returning to the Moon was a better option than suicide. 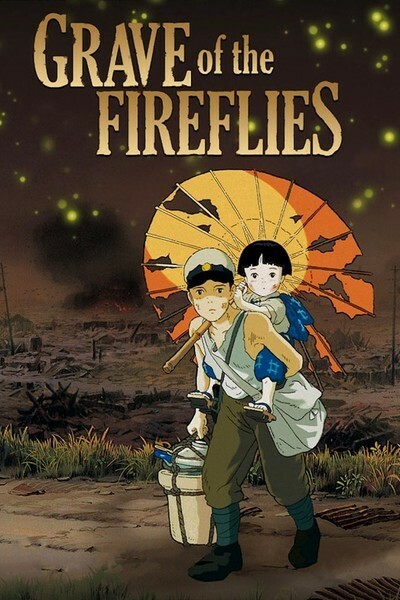 Grave of the Fireflies is a film I own on DVD, and I do plan to watch it again one day. I rank that film with The Killing Fields, The Pianist, and Schindler’s List. I can’t even look at a picture of the movie poster without tearing up. Grave of the Fireflies is based on a semi-autobiographical novel, and it’s one of the greatest pieces of art ever made about war. 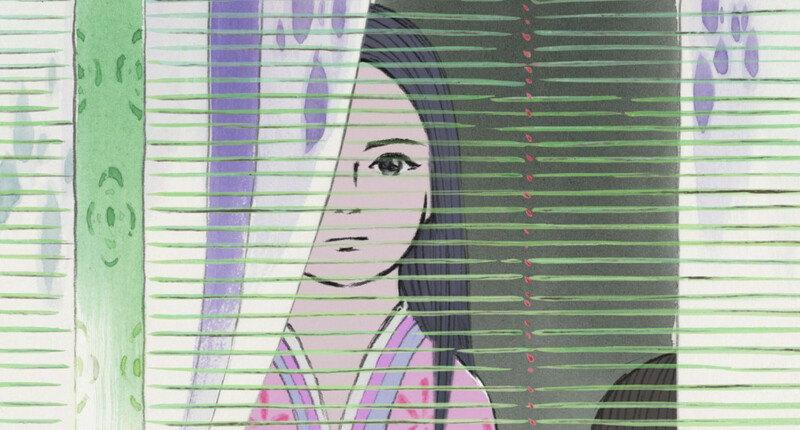 I really wish I’d enjoyed The Tale of Princess Kaguya a lot more than I did. But I found the movie to be slow, painful, grim, sad, and brutal to watch. While I enjoyed the historical setting, and I always love scenes of nature, I wasn’t invested in the characters enough to feel intrigued by such a predictable story. For those who love All Things Japanese History, I would definitely recommend this movie. The film received a lot of acclaim, and I’m glad I finally got a chance to see for myself what all the fuss was about.